We’re delighted that Otesha are coming to North Edinburgh Arts in August. 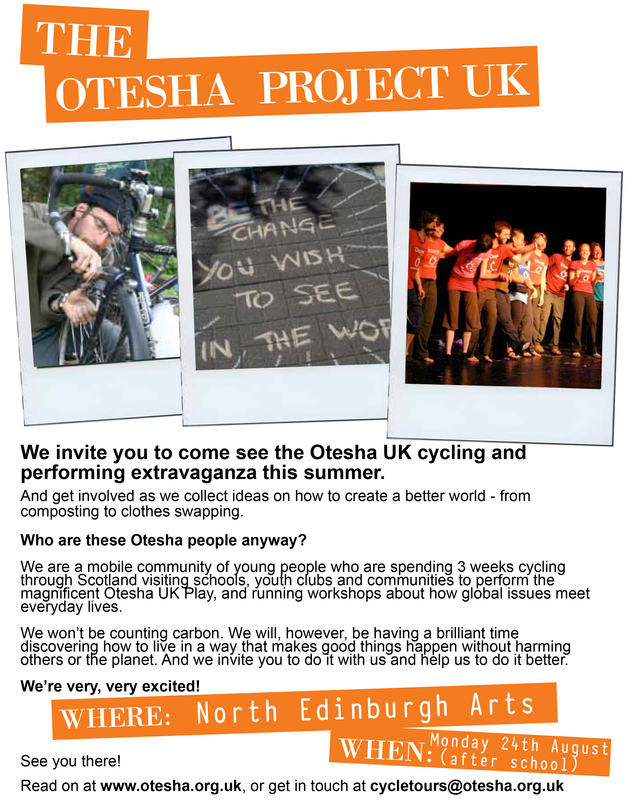 Otesha is mobile community of young people cycling Scotland visiting schools, youth clubs and communities holding workshops and permorming plays connecting global environmental issues with every day lives. More details on the exact workshops will be released sooner to the time, but we’re excited that they’re previous tours included making wallets out of tetrapaks, bike maintenance and, good for us, food growing.